Reed’s Crossing is a master planned community developed by Newland Communities. The community will be constructed over the next 15 years and will comprised of single and multi-family residential, commercial, mixed use and high-density residential development with associated roadways, utilities, stormwater facilities, trails and open space. Reed’s Crossing community is approximately 460 acres and it is part of the South Hillsboro Community Plan, Hillsboro, Oregon. 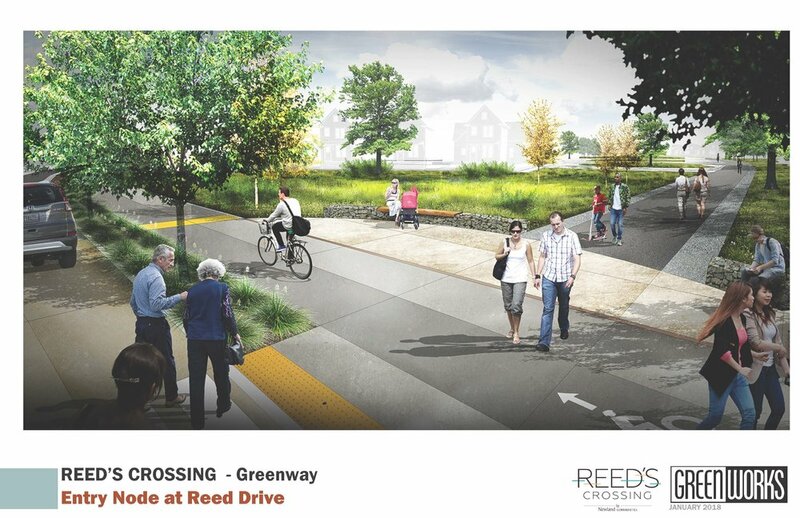 GreenWorks has been working collaboratively with Newland and project civil engineers to design the heart of the development— the 23-acre greenway. The greenway is comprised of approximately 12-acres of stormwater facilitates that will cleanse stormwater running off roads and rooftops of the new development. These stormwater treatment facilities will be seamlessly incorporated into the landscape and design of neighborhoods and civic spaces. 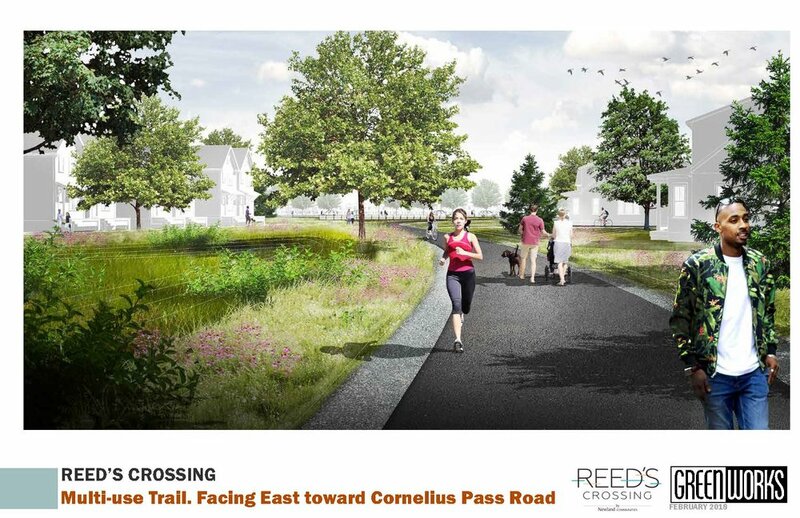 The greenway will link both the community internally and adjacent neighborhoods by the multimodal trail network traversing the site. The greenway will also support riparian habitat, passive and active recreation, and open space preservation. A variety of planting types are displayed throughout the greenway from wetland habitat to oak savannah and meadows. Greenworks worked with Newland from concept through permitting and construction documentation. Throughout the process, Greenworks coordinated with nurseries to grow the 300,000 plugs that were planted in the stormwater facilities as well as all the shrubs and trees that will surround the stormwater facilities and the trails. During construction, Newland Communities hired GreenWorks landscape construction manager full-time to oversee and coordinate the construction of the greenway, as well as the streetscape design.